It all begins throughout the years students spend in the gardens, orchard, greenhouse, and kitchens at Ridge and Valley Charter School. In seventh grade, the idea of leaving this beautiful place that feels like home is looming on the horizon. Many feelings of gratitude flood, as does a desire to say thank you. 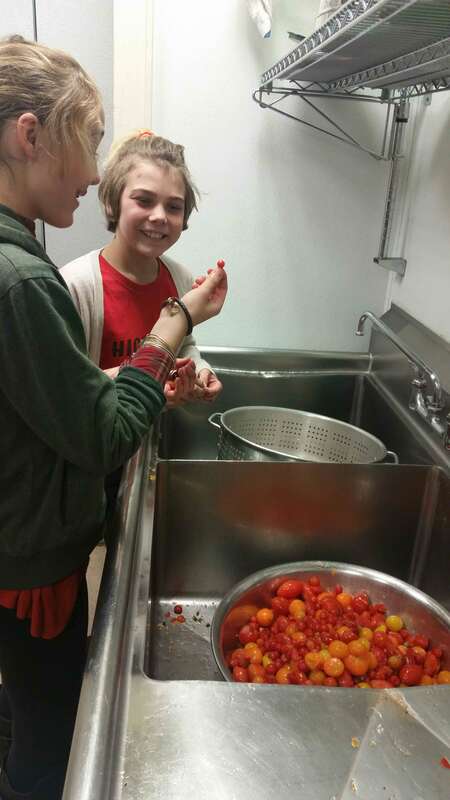 During the fall of seventh grade, just after Thanksgiving, students receive the bountiful harvest of tomatoes that were harvested by the 8th-grade class. These tomatoes were grown and cared for by the 8th-grade class that has since graduated and left behind as a gift. These tomatoes are brought to a local restaurant, Buck Hill Brewery, that has kindly donated their time and kitchen space to the cause. 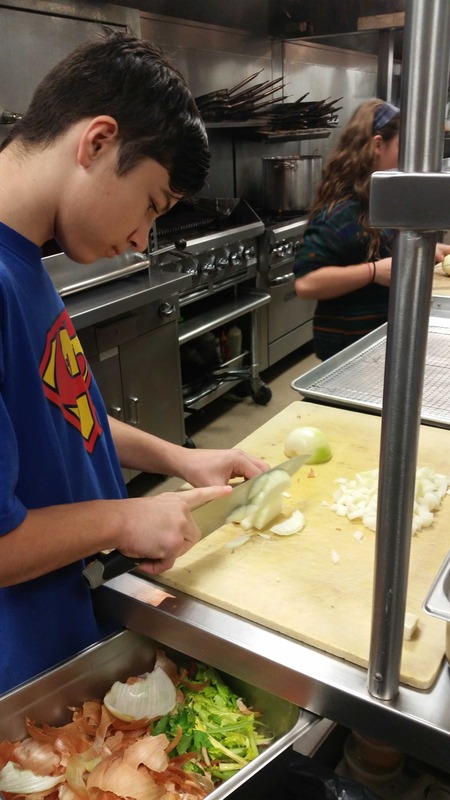 The chef works closely with the students, teaching them little tricks of the trade as they chop, mill and cook. 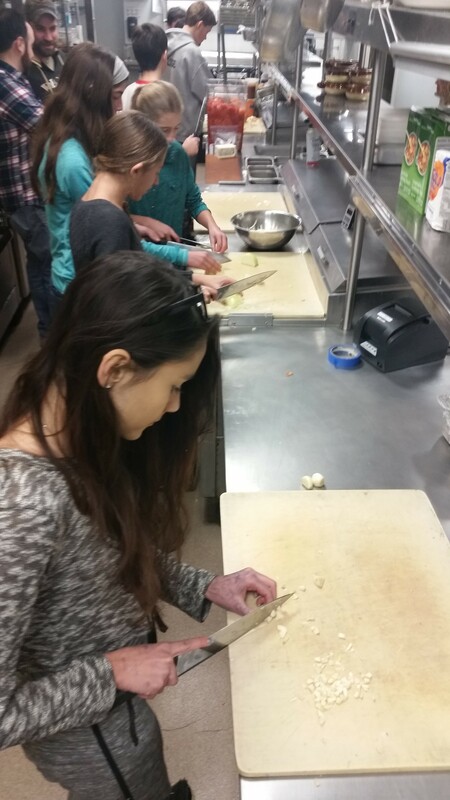 Every student takes part in the making of home-made, gourmet tomato soup. The story of where these tomatoes came and where they are going is shared with the students, and they await to play a new role in the circle of giving next year. At the end of 7th grade, the graduating class invites the 7th graders to the passing of the seed ceremony. It is at this time that 8th graders host questions, play games, and pass on their gifts of gratitude before they journey on. Each 8th grader is paired with a 7th grader as they walk into the garden full of tomatoes that are grown from seeds passed down from year to year. At this time, they are still small and yet to fruit. However, there is one barren spot left for the passing of the seed ceremony. Each 8th grader has a handful of seeds and gives a pinch of seeds to a 7th grader. The 7th grader plants his or her seeds and the 8th grader throws the remainder of the handful into the nearby meadow, a gift of farewell to the community of beings. 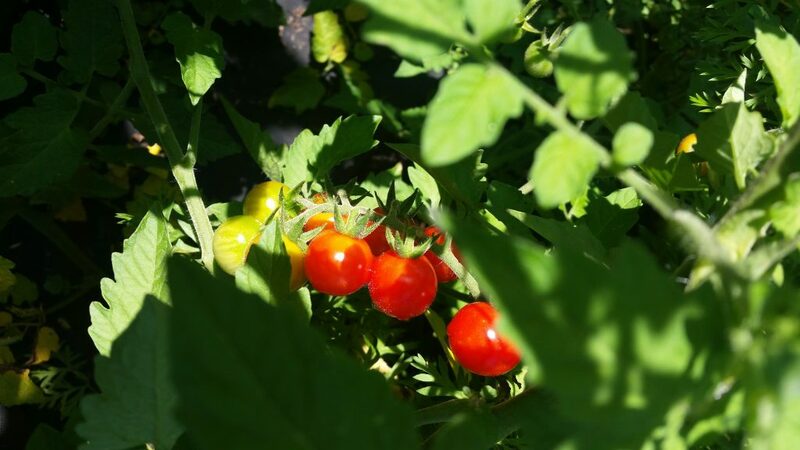 At the beginning of 8th-grade students are overwhelmed with the plethora of tomatoes to harvest from our garden. Tomatoes are shared and eaten graciously with all as the work is performed. The graduate classroom in the fall is a never-ending cycle of tomato harvest and preserving through drying and canning into a sauce. One day deemed, “Tomato Madness”, students walk into the classroom after lunch to dramatic music and read off cards hung around the room that informs about the tomato seed saving process before they dive into the saving of the seeds. 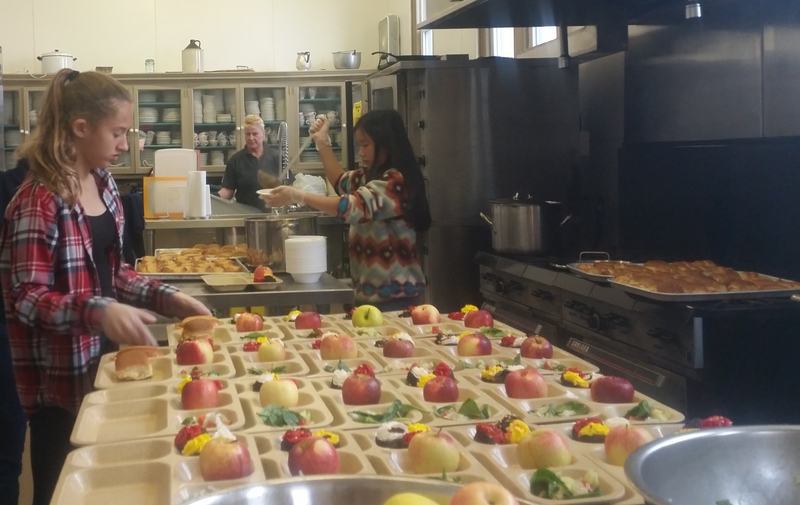 Just after Thanksgiving, following the 7th graders’ soup making, 8th-grade students participate in preparing a meal that includes the tomato soup from their garden at a local soup kitchen, The Manna House in Newton, NJ. This experience is eye-opening and transformative for many of the students, as they are awakened to the needs of so many so close to home. The feeling of being grateful for what they have is the most commonly shared emotion after working in the soup kitchen. The people served at the kitchen are surprised to learn of where the soup has come, as well as pleased with the delicious treat. They do not hold back their words of gratitude to our students and the students relish in the awareness of what it feels like to help others. It all began with the magic in a tiny seed. Through the winter 8th graders will begin to put the seeds they saved into trays to later be transplanted in the garden. The germination of the seeds is a miracle to behold. Students water and nurture these tiny seedlings until they are strong enough to live in our garden that they have weeded and prepared. Some students even take off their shoes as they work the soil to feel the earth beneath their feet, to feel close to that which gives life. It is an experience that bonds, to the earth, each other, and all that lives. All in all, it is a celebration of life. 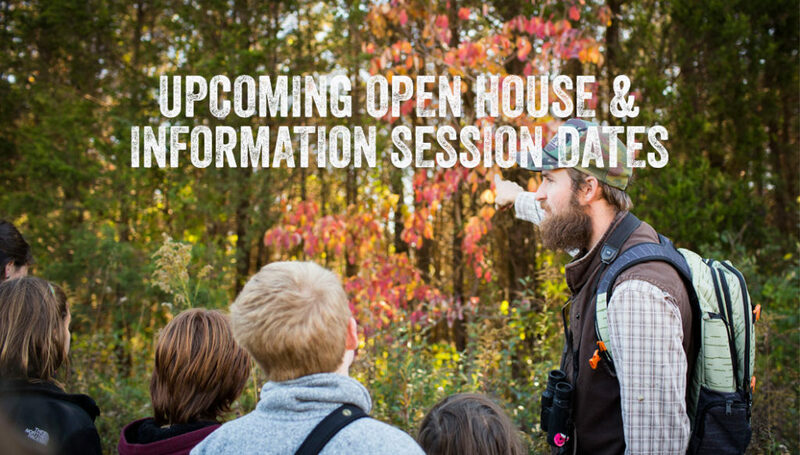 If you or someone you know would like to consider RVCS as an option for your child’s education, please contact Jen Ross at 908-362-1114 to RSVP for the event. Children are born with an immense potential to learn, explore, connect and grow joyfully in the region and the social context in which they live. A Ridge and Valley education is an experience of emergence, wonder, support and guidance that allows young people to grow into the fullest expression of their interests, passions and joys so they become self-directed, confident, responsible and informed adults. On this journey, children build cross-discipline skills that integrate subject matter through hands-on experiential activities that activate a wide range of sensibilities, skills and awareness. Our school encourages children to wonder, to think, to discover and to question. Local community members established Ridge and Valley Charter School to pursue innovative and personal excellence oriented teaching methods within the public school system, gaining approval of the school’s charter in 2002 and opening the school for students in the 2004-2005 academic year. Ridge and Valley Charter School is a public K-8 school of choice that provides students an education for a hopeful sustainable future. 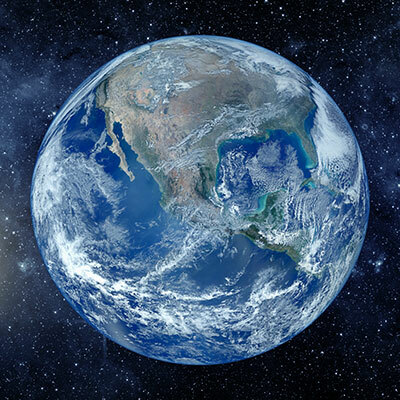 Our educational program and curriculum honors children as individuals and emphasizes personal excellence, hands-on experiential education, self-directed and outdoor learning, project-based learning, earth literacy, bioregional studies– all in the context of our 13.7 billion-year-old Universe. RVCS is a tuition-free public school that follows NJ state education standards and testng requirements within the context of our mission. Ridge and Valley Charter School students participate in a number of garden projects throughout each year. They save seeds for planting, tend to various gardens and orchard, and ultimately harvest a variety of fruits, vegetables, and herbs. This past season they harvested a bountiful tomato crop. 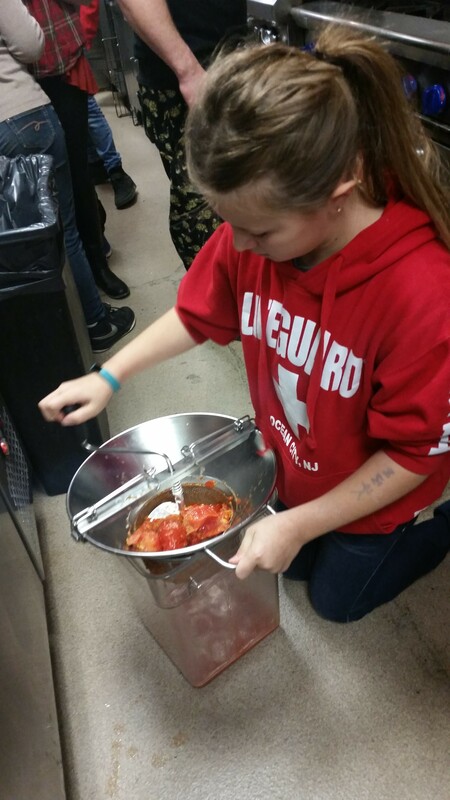 Sixteen quarts of tomatoes were harvested, blanched, peeled, and frozen this fall by students. As they studied food systems, the students explored ways to share their abundant harvest and make an impact on the food system in our area. While furthering their learning of food systems, these middle school students reached out to help the food insecure in our area. 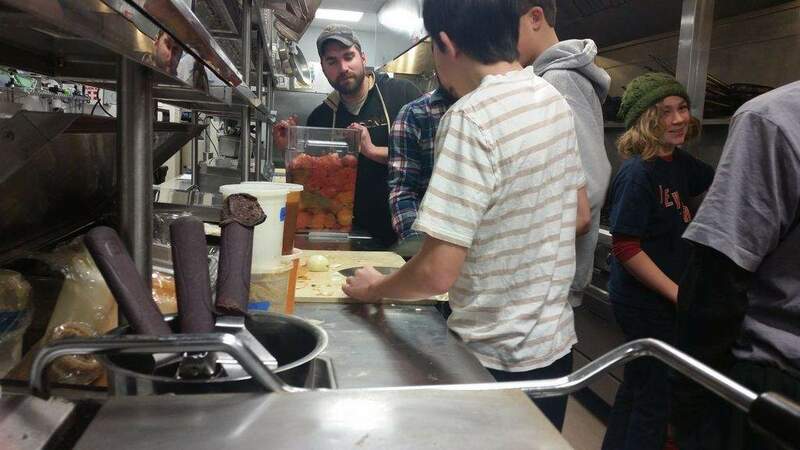 During their quest to donate the organic food grown in their garden and volunteer at a local soup kitchen, the students connected with a local Blairstown establishment, Buck Hill Brewery and Restaurant, to prepare food for donation in the restaurant’s board certified commercial kitchen. A date was set, and delicious tomato soup was made with guidance from Buck Hill’s head chef. Chef Brett shared his expertise and tricks of the trade with the students. The organic and locally grown tomato soup was shared with Manna House in Newton. 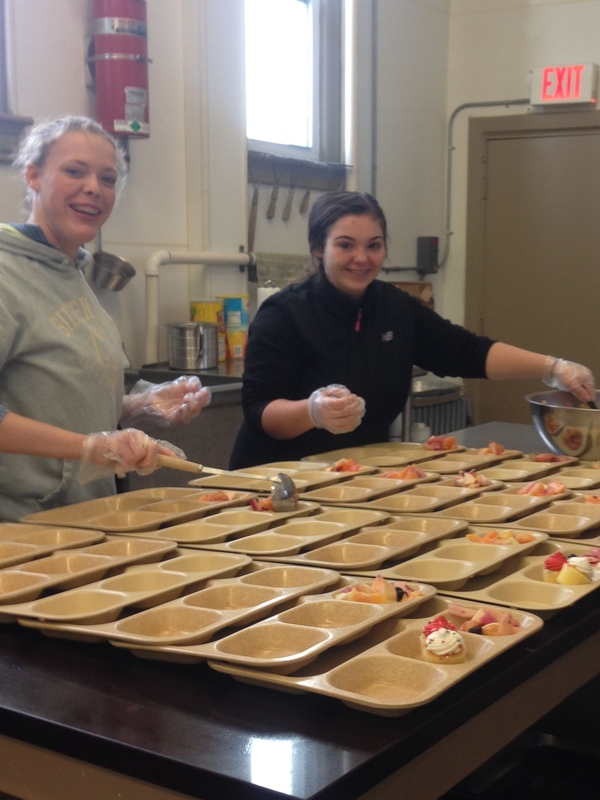 Many of the students also participated in serving the meal, as well. This experience added a sense of authentic purpose to the students’ work, as well as enhanced their experience learning to grow food and study of systems. Ridge and Valley Charter School is grateful to Buck Hill Brewery and Restaurant and Manna House for their willingness to partner with our students in their efforts to make a difference. 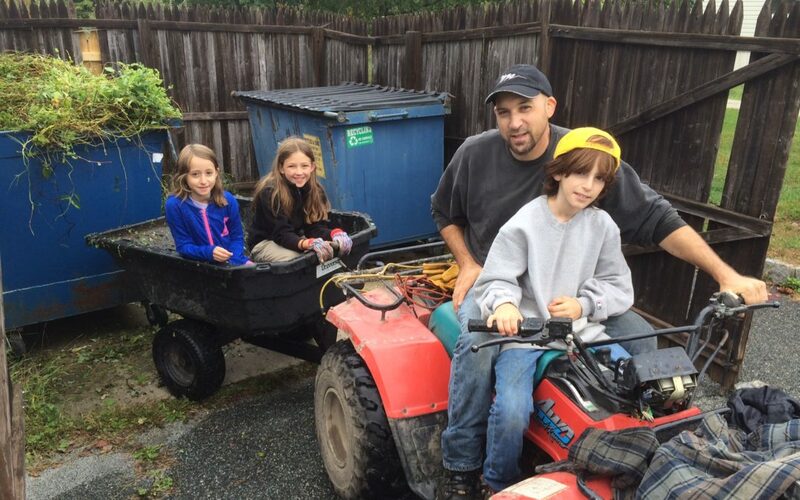 Pictured: Emma Corbo, Kathryn Zurovchak, Dad Niko Corbo and Vincent Corbo help clear underbrush during RVCS’ October 1 Community Service Day. Ridge and Valley Charter School Community Service days, like the recent gathering on October 1, provide an opportunity for students, families, staff and trustees to come together and help make the RVCS campus a better place. On Community Service Day, volunteers take on site management tasks, classroom prep activities and a wide range of helpful jobs to beautify the property and prepare classrooms for students. Sustainability means taking care of the resources, materials and relationships around us. And we believe that when students and families connect to the operational dynamics of their school, the learning is deeper and students can better understand their school as a local community-based human experience. 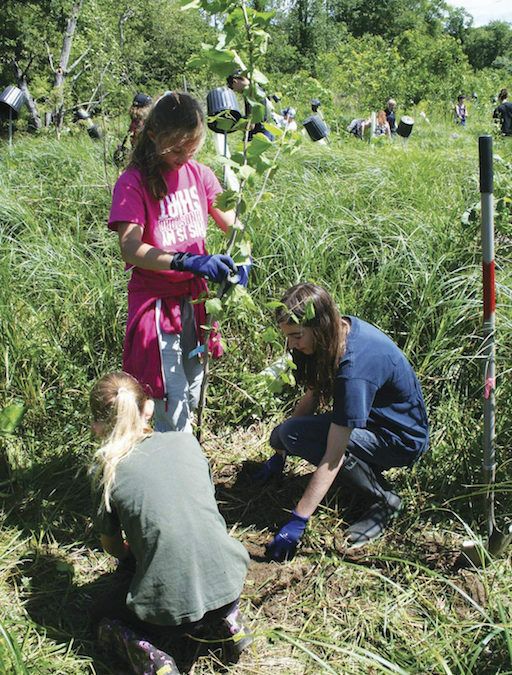 Ridge and Valley Charter School student volunteers helped to plant 163 trees on the banks of the Paulins Kill in Stillwater, New Jersey to mitigate invasive species that prevent reforestation and ultimately, cause erosion. After learning about watersheds throughout the school year, students were compelled to volunteer to help the Paulins Kill watershed that runs behind their school. Ridge and Valley Charter School partnered with the Stillwater Environmental Commission and the Wallkill River Watershed Management Group who have been working on a reforestation and restoration project since 2012. The planting of trees is part of a larger project to mitigate invasive species and prevent erosion. While volunteering, students were able to see the stream bank erosion first hand and by helping to plant trees were an active part of the restoration effort. Ridge and Valley Charter School student volunteers hope to come back to measure the survival rate of the trees, fix the tubes that are protecting those trees, and track the progress of the area. 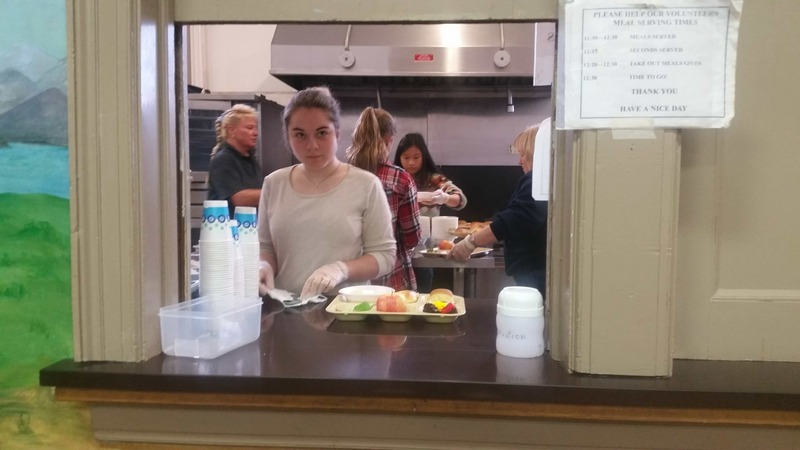 This is just one example of the many voluntary service learning opportunities (integrating meaningful community service with instruction and reflection) that students at Ridge and Valley Charter School undertake each year. For more information about the students’ volunteer experience check out the write up in the NJ Herald here! It was wonderful to see representatives from all of the class groups take part in the assembly this week. Choosing class names is a dearly held tradition at RVCS. Students actively research and decide upon a name that is supported by all students in the class group. It was determined early on in the process of creating our school that the founders, Trustees, staff and students would do work through the process of consensus. It is not easy, especially in a culture where democratic voting is valued and practiced. Although the democratic process is valuable and has, indeed, allowed our nation to flourish, consensus allows all of our community to be heard. Students and class groups use consensus in various ways throughout the day and year, from deciding on a class name to deciding between making raspberry jam or autumn olive leather. Although the impact of each consensus decision is different, the process remains important and respectful of all of the students involved. I have heard some observers wonder why consensus is important, and certainly why we have to celebrate the process and outcome of things such as class names at assemblies. I would offer the following: because it is a celebration of everyone being a part of a community. As we tell students throughout the process, consensus is about everyone being heard. The outcome may not be something that one expected, nor may it be something for which one is particularly excited. It may be uncomfortable. But it is a process that allows everyone to be okay with a decision, no matter what that decision ends up being. So I offer my thanks to those who participate in and observe our assemblies where we celebrate that each person is respected enough to be heard and considered. Respect is one of the core values at RVCS. Consensus is such a valuable way to embody respect for all of our community. I am grateful that our students are learning that they are worthy of being respected and to respect.